Amy Hagaman married Decklyn Nelson, son of Cary Nelson and Michelle Evette Morgan. Joseph Hague married Mary Jane Morgan, daughter of Hardin Morgan and Elizabeth White. Mark Hahn was born on Jan 19, 1973. He married Lavinia Lee Rizer, daughter of Arden Clinton Rizer and Janice Wilson, in Sep 15, 1990 at Charles City, Floyd Co., IA, USA. Jean Celia Halberg was born on Feb 17, 1924. She married James Andrew Morgan, son of Norvin Dwight Morgan and Alfreda Myrtle Deaver, in May 31, 1945 at Gillette, WY, USA. Rhoda Hall married James Andrew Morgan, son of James Andrew Morgan and Jean Celia Halberg, in May 27, 1976 at Gillette, Campbell Co., WY, USA. Fawna Raylea Halladay was born on Jul 25, 1974 in Buffalo, Johnson Co., WY, USA. Michael Kelly Halladay was born on May 2, 1949 in Lincoln, Lancaster Co., WY, USA. He married Debra Jean McGuire, daughter of John David McGuire and Joanne Hebard Morgan, in Dec 18, 1973 at Gillette, Campbell Co., WY, USA. Stephan Michael Halladay was born on Oct 24, 1976 in Buffalo, Johnson Co., WY, USA. Judy Hanson married James Andrew Morgan, son of James Andrew Morgan and Jean Celia Halberg. Melissa Frances Hanson was born on Feb 10, 1873 in Liscomb, IA, USA. She married Fred C. Clark in Nov 6, 1895. Melissa Frances Hanson died on Jul 26, 1959 at Nora Springs, Floyd Co., IA, USA. Olif Hanson was born in 1842 in Sweden. He married Melissa Frances Morgan, daughter of Hardin Morgan and Elizabeth White, in 1871 at IA, USA. Robert L. Harold married Cora Morgan, daughter of William Thomas Morgan and Martha R.E.A. Trotter, in Mar 28, 1907. Eric Hasseltine married Cheryl Wallace, daughter of Homer Wallace and Buena Jane Morgan. Shawn Hatchett married Penny Scott Morgan, daughter of Elbert Bascom Morgan and Peggy Jane Mowell. Carmen Lee Hauser was born on Jan 26, 1944 in Fort Dodge, IA, USA. Dale Russell Hauser was born on Jun 21, 1920. He married Irene Bernice Platner in Dec 26, 1942. David Bruce Hauser was born on Jan 13, 1953. Deborah Ann Hauser was born on Jul 15, 1949. Deborrah Lynn Hauser was born on Sep 19, 1949. She married Roger Griffis. Edward K. Hauser was born on Mar 14, 1921. He died on Mar 24, 1921. Edward Kennedy Hauser was born on Jul 22, 1879 in near, Gowrie, IA, USA. He married Mrs. Ellen M. (Powell) Watkins in Mar 3, 1920. Emilyn Beulah Hauser was born on Feb 14, 1884 in near, Gowrie, IA, USA. She died in Nov, 1972 at Des Moines, Polk Co., IA, USA. Fern Louise Hauser was born on Feb 6, 1882 in near, Gowrie, IA, USA. She married Ernest Leon Ruring in Oct 14, 1916. Fern Louise Hauser died on Feb 2, 1969 at Gowrie, Webster Co., IA, USA. George Washington Hauser was born on Mar 3, 1853 in IN, USA. He married Martha Ann Morgan, daughter of Hardin Morgan and Elizabeth White, in Nov 11, 1874 at Liscomb, IA, USA. George Washington Hauser died on Nov 19, 1938 at Gowrie, IA, USA. He was buried at Gowrie, IA, USA. Glenn Weston Hauser was born on Oct 27, 1875 in Liscomb, IA, USA. He married Claire Nordman in Nov 4, 1912. Glenn Weston Hauser married Emily Biles in 1941. Glenn Weston Hauser died on Dec 22, 1953 at Des Moines, Polk Co., IA, USA. He was buried at Des Moines, IA, USA. Grace Leone Hauser was born on Sep 23, 1877 in Union, Hardin Co., IA, USA. She married Rae J. Grover in May 1, 1927. Graydon Ward Hauser was born on Mar 25, 1916 in Des Moines, IA, USA. He married Bonnie Beulah Wakeman in Dec 25, 1942. Graydon Ward Hauser died on May 21, 1943 at near, McBee, SC, USA. He was buried at Gowrie Cemetery, Gowrie, IA, USA. Helen Margaret Hauser was born on Oct 20, 1914 in Gowrie, IA, USA. She married Paul J. Powers in Jun 12, 1937 at Washington, DC, USA. Jack Clifford Hauser was born on Mar 2, 1932. He married Barbara Jane Fisher in Mar 14, 1952. Jeffrey Hauser was born on Oct 19, 1990. Jeri Hauser was born on Sep 9, 1947. Jerry Edward Hauser was born on Aug 15, 1920. He married Eleanore Mary Genard. Lois Jayne Hauser was born on Aug 30, 1919 in Boone, Boone Co., IA, USA. She married Bernard Elliot Wulze in Sep 25, 1942. Maurice Rodger Hauser was born on Aug 9, 1921. He married Lois Janette Menefee in Jun 19, 1943. 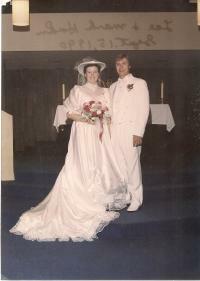 Maurice Rodger Hauser married Barbara Van Buren in Dec 12, 1987. Maurice Rodger Hauser died on Jun 30, 2015 at Palos Verde, CA, USA. Maxine Elizabeth Hauser was born on Mar 16, 1919. She married Thomas Francis Fitzgibbon in Jun 19, 1943. Maxine Elizabeth Hauser died in 1988. Mercedes Gay Hauser was born on Feb 25, 1887 in near, Gowrie, IA, USA. She died in Apr, 1976 at Des Moines, Montgomery Co., IA, USA. Owen Kenneth Hauser was born on Feb 8, 1891 in Gowrie, Webster Co., IA, USA. He married Beulah Beatrice Shinn in Oct 20, 1919. Owen Kenneth Hauser died in Feb, 1965 at Iowa Methodist Hospital, IA, USA. He was buried at Masonic Cemetery. Russell Lancelot Hauser was born on Feb 23, 1889 in Gowrie, IA, USA. He married Irene Ryberg. Russell Lancelot Hauser died on Mar 20, 1978 at Royalwood Convalescent Hospital, Torrance, CA, USA. Ruth Louise Hauser was born on Jan 1, 1918 in Boone, Boone Co., IA, USA. She married Myron W. Larsen in Mar 8, 1941. Ruth Louise Hauser died circa 2005. Susan Dayle Hauser was born on Jan 1, 1946 in Los Angeles, Los Angeles Co., CA, USA. She married James Earl Beckman in Nov 26, 1966. Toni Hauser was born on Oct 30, 1946. Zola Marguerite Hauser died on Aug 24, 1913 at Barstow, San Bernardino Co., CA, USA. She was born on Aug 24, 1913 in Barstow, San Bernardino Co., CA, USA. America Virginia Hawkins was born on Dec 14, 1881 in Hawkins Co., TN, USA. She married John Brooks Morgan, son of Pleasant Benjamin Morgan and Margaret Jane Conant, in Jul 31, 1902. America Virginia Hawkins died on Apr 21, 1966 at Fort Mills, Chester Co., SC, USA. (?) Hayes married Linda Brown, daughter of Joe Brown and Elsie M. Morgan. (?) Haynes married Martha Ann Morgan, daughter of Lenoah Morgan Sr and Martha Frances Amos, in circa 1870. Frederick Charles Haynes married Margaret Jane Morgan, daughter of William Thomas Morgan and Martha R.E.A. Trotter, in Feb 16, 1893.